LivItaly’s Vatican Early Entrance Small Group Tour is ideal for people who want to get an early start on their day and get the very best of Vatican City. Just as the name suggests, people who sign up for this tour get to enter the Vatican Museums one entire hour before the general public. Take in the majesty of Michelangelo’s Sistine Chapel in total peace before the crowds start pouring in. Since all LivItaly small tour groups have no more than six people, you will have plenty of time to admire the Vatican’s many treasures with your local guide navigating through this 9-mile long museum so you get to see the highlights and recommend rooms and collections to save for a later date. Your tour will end in the most famous church in the world – St. Peter’s Basilica. 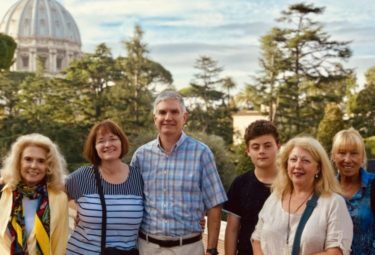 This small group tour is perfect to experience the best of the Vatican without having to battle hordes of tourists. 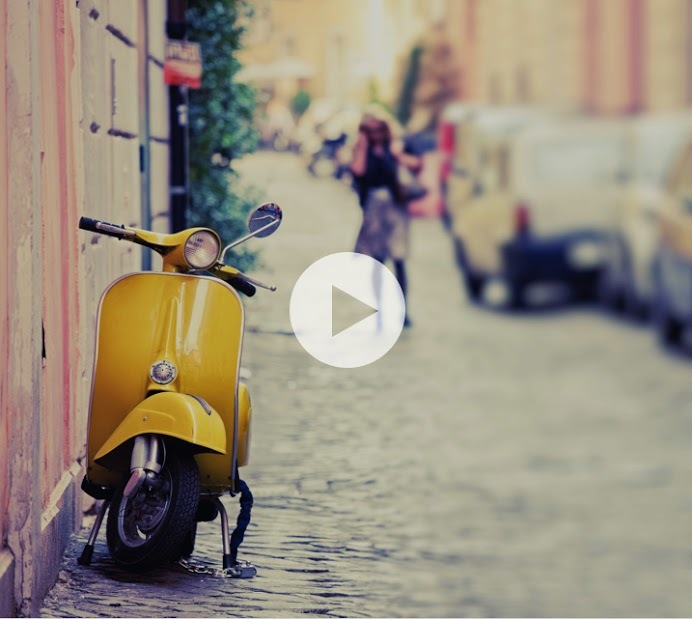 Your tour begins at 7.30AM near the Vatican Museums entrance. Here you’ll meet your expert tour guide who will let you into the museums one hour before they officially open and you will be immediately guided through the empty Vatican Museum hallways straight to the first stop – Michelangelo’s Sistine Chapel. Since this chapel is the number one attraction in the Vatican, LivItaly believes it’s important to give guests the time and space they need to fully appreciate it. 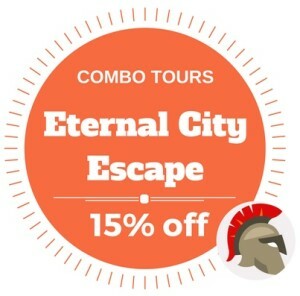 You’ll get a rare opportunity to admire Michelangelo’s ceiling frescoes and Last Judgment without having to deal with the surge of crowds by your side. After you’re finished learning all about Michelangelo’s masterpiece, your guide will loop you back into the Vatican Museums to the beginning of this amazing art collection and discover the highlights of the Vatican Museums with a stop at the Pinecone Courtyard followed by the Octagonal Courtyard to learn about the greatest statues of antiquity,from the mysterious composition of the Greek statues of the Laocoon, the Apollo Belvedere and the inspiring Belvedere Torso. 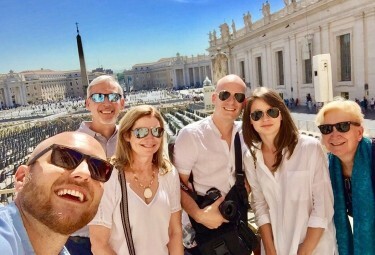 The small group tour of the Vatican led buy your expert LivItaly guide, will then walk up the stairs to the amazing galleries, from the Candelabra, to the Tapestries up to the world-known Gallery of Maps, the Renaissance version of Google Maps. A Vatican Tour cannot be complete without the Raphael Rooms of the apartments of Pope Julius II. Your small group of max 6 participants will be able to slip through the crowds easily and be in awe at the majesty of these newly cleaned Raphael frescoes. 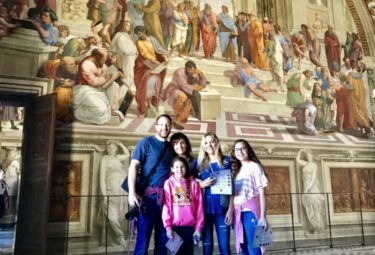 Once you’re done in the Raphael Rooms, your guide will take you through the Sistine Chapel one more time before heading into Saint Peter’s Basilica. Admire the spaciousness of this basilica, which is the largest Catholic church in the entire world. A few of the glorious works of art you will get to see up close include Michelangelo’s Pietà and Bernini’s Baldacchino Altar. 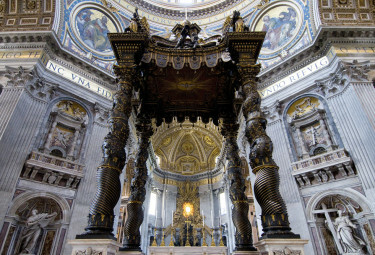 Before you leave St. Peter’s Basilica, your guide will tell you about the Papal Tombs, the Memorial of Pope Alexander VII, and tell you how to climb up to the top of the Dome. Conclude your Vatican tour by walking around Bernini’s celebrated Piazza San Pietro Square. As you could imagine, both the Raphael Rooms and the Sistine Chapel are crowded with tourists every day they’re open. It’s almost impossible to fully appreciate these masterworks as you’re being pushed and pulled by hundreds of visitors. 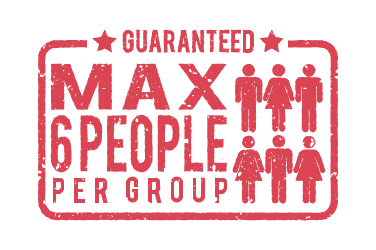 That’s why this small group tour is such a great opportunity. You’ll get the space and time you need to soak in the majesty of Michelangelo’s ceiling frescoes and the major works by Raphael. With your tour guide by your side, you’ll learn all the juicy stories behind the composition of these great works of Western art. As of January 2, 2019 this Vatican Early Entrance Small Group Tour will ALSO feature exclusive access to the RAPHAEL ROOMS before they open to the general public. Guests will be privy to some of the most important artwork and rooms in the entire museum – all without the rush of crowds around them. The sixteenth century Raphael Rooms were painted by the great High Renaissance artists by Pope Julius II to adorn the walls of his apartment with the Vatican. Your LivItaly Vatican Early Entrance Small Group Tour will take you through to see these and right after the glorious Sistine Chapel so you see the most important Vatican highlights before the museum even opens! Privacy is a luxury in the Vatican Museums. Since Vatican City houses so many treasures, it’s understandable that this area gets flooded with tourists daily. Luckily for you, there’s a way to beat the crowds and enjoy works of Michelangelo, Raphael, and Bernini in relative peace. LivItaly’s Vatican Early Entrance Small Group Tour was designed to give tourists the best possible experience of the glories of Vatican City. 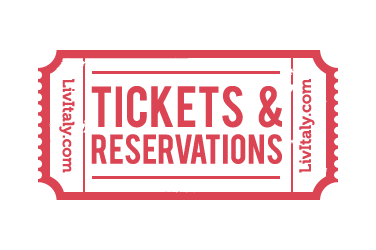 If you’re serious about getting a premier tour of the Vatican for an exceptional price, book your spot on this excellent small group tour today! St. Peter’s Basilica is an active church and can be closed unexpectedly for liturgical ceremonies. If closed, the time inside the Vatican Museums will be extended. 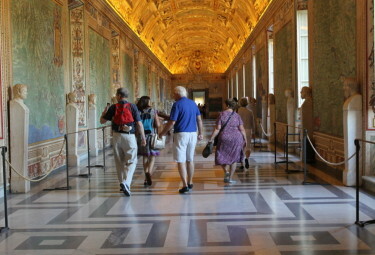 *Wish to tour the Vatican Museums in the afternoon? 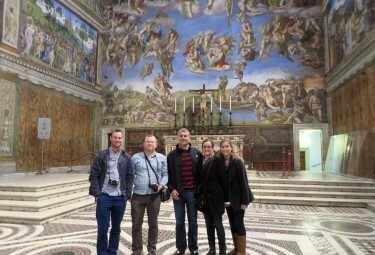 Check our our Vatican & Sistine Chapel Small Group Tour offered every Monday, Wednesday and Friday at 2,30 pm here. 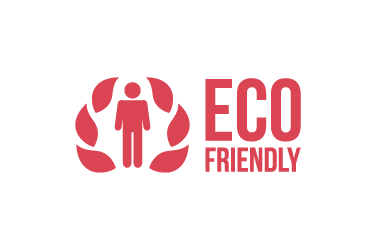 *Guests with wheelchair accessibility needs will find difficulty with this small group tour. 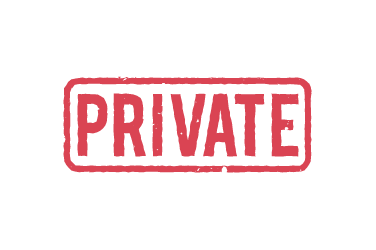 In order to ensure a barrier-free tour with alternative routes, please book the private version of the Vatican Tour with Early Entrance. 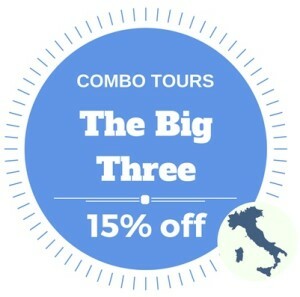 The Vatican Early Entrance Small Group Tour is part of 2 LivItaly combos! 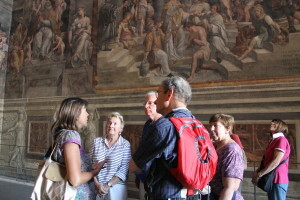 Our Early Entrance Tour lets you & your guide enter the Vatican Museums 1 hour before the general public! 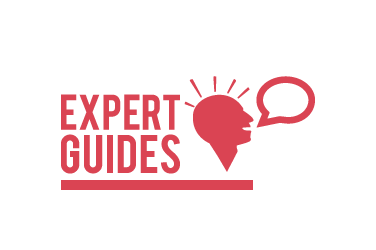 Our top-rated guide will take you through the Vatican Museum pointing out all of the highlights. Beat the busy crowds and get to see the Sistine Chapel without masses of people around. 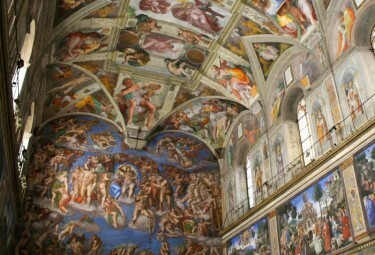 Take your time to admire the beauty of Michelangelo's greatest work of art - the Sistine Chapel. 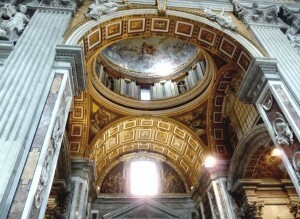 Your small group tour will end in the world's largest church - St. Peter's Basilica. 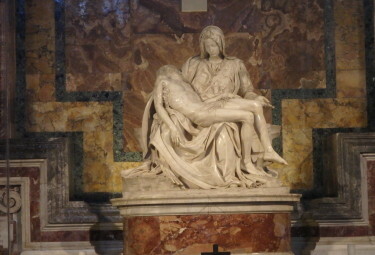 St. Peter's Basilica is home to Michelangelo's The Pietà, depicting Virgin Mary holding Jesus. Lovely selfie taken by our expert guide Luca at the end of our tour!